I am a book artist with extensive experience in delivering book arts and bookmaking workshops. Find out more by clicking on Workshops. My aim is to promote the craft of bookbinding and the book as an art object in its own right. I trained in book making in the UK and in New York. 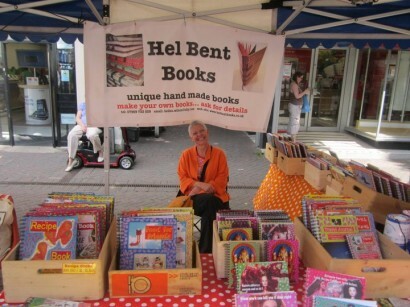 I sell my unique hand made books at arts markets throughout the West Midlands. For more information click on Events. I make lots of books to order, and so why not get in touch with any ideas? I very happily undertake commissions from across the world.